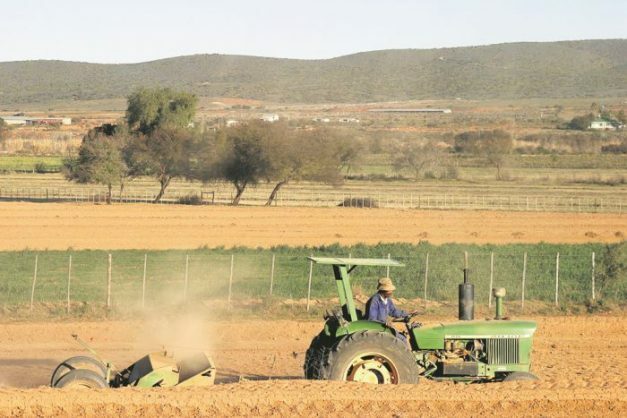 A farm worker on a tractor works a field on a farm in the Oudtshoorn district of the Klein Karoo in the Western Cape province of South Africa. File image. Business Unity of South Africa says land expropriation has put the brakes on any long-term investment decisions. The land expropriation debate and the proposed Constitutional amendments in this regard have put the brakes on long-term investment commitments by foreign investors, says Business Unity of South Africa (BUSA). Busiswe Mabuza, a representative of BUSA, said that the land debate has created anxiety and uncertainty among the foreign investment community, adding that the country needed to guard against losing investor confidence in light of challenging domestic and international developments. This comes as the South African government is holding public hearings to ascertain whether a review of Section 25 of the Constitution and other clauses are necessary to make it possible for the state to expropriate land in the public interest without compensation, and to then propose the necessary constitutional amendments. “The current crossroads, spearheaded by the constitutional review committee exploring the changing of the section 25 of the Constitution to pave the way for expropriation [of land] without compensation is a huge poser for business,” Mabuza said. Mabuza was speaking during the session on South African investment opportunities at the BRICS Business Council meeting being held in Durban.